Crowdfunding has been around for a while, and the phenomenon is showing no signs of waning. In fact, the industry as a whole is set to double in value in 2015. A recent study by Massolution found that crowdfunding could account for more funding than venture capital by as early as 2016. As more people are introduced to the power of the crowd, the crowdfunding ecosystem is becoming much more complex. There are more platforms, more options and unfortunately, more challenges than ever before. Here’s a little insight into the issues facing crowdfunding campaigns, and how they can be addressed. In the beginning, there were a handful of crowdfunding platforms that all offered fairly similar prospects for those thinking of starting a campaign. With dozens of options and a variety of factors to consider, choosing the right platform for your campaign is of vital importance. You can even download your own crowdfunding website template and have your own crowdfunding business open for trade by next Tuesday. To choose which crowdfunding platform is right for your venture, you need to start by considering how you’ll appeal to the target audience. Better still, who your target audience is. Are you trying to reach angel investors, or is your project more likely to appeal to friends, family and some interested strangers? You’ll also need to get to grips with the brand value that accompanies many of these platforms. Popular platforms are likely to reach a broader audience. But niche platforms that are highly relevant to your project. This could help you tap into a more engaged audience, that are more likely to resonate with your appeal. When you first come up with an idea for an exciting new product, the enthusiasm can cloud your judgement. Here’s where you need to dismiss the romance and sentimentality and get pragmatic. Be realistic about the total amount you need to raise and how much time you have to do it. Try not to set your campaign end-date months into the future – you’ll lose focus and find it hard to keep up that momentum. One top tip is to assess how much you’ll need to reach the next major phase of your project. Once you’ve reached that target, set one that will take you into the next phase. Rather than trying to go from zero to product launch in one fell swoop. Crowdfunding is still an developing practice, it has many issues yet to be cleared up by experts. Financial experts haven’t reached a consensus on whether money raised through crowdfunding counts as capital or income. 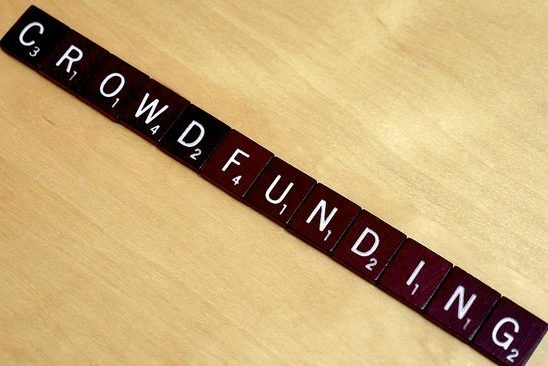 The financial rules for crowdfunding are still unclear. So it’s crucial to have an in-depth understanding of them before you take this path. SEIS, EIS – get to understand the options and what they mean to you. Many people starting crowdfunding campaigns see the campaign itself as the biggest barrier that they will face. But once the campaign has ended, the focus turns to meeting those expectations. The vast majority of crowdfunding sites offer rewards as incentives for people to support a campaign. This can be a tricky area to navigate. For example: if your campaign does better than expected, you may face having to provide more rewards than desired. Applying pressure on your resources. leaving a negative impact if you can’t meet those raised expectations. It’s important to set realistic time frames for reward delivery to ensure expectations are managed from the outset. Even the most exciting business ideas need a robust marketing campaign. You can’t rely on general benefactors stumbling across the page and parting with their cash. There are many different ways you can attract support for your campaign online. Have a press release, build a personalised outreach program among friends and family. Make sure you are shouting about any successes that your campaign has. What happens if someone comes across your campaign and steals it before you can raise the funds for the project? What happens if your invention infringes on someone’s intellectual property? Dealing with copyright issues has proven to be a challenge in crowdfunding, there’s very little precedent to follow. If this concerns you, I’d recommend you seek legal advice before launch. This will ensure you have legal-binding protection. If this is too expensive, there are more cost effective ways to reduce the likelihood of copyright problems. For example, some equity based platforms require investors to sign NDAs before investing. If you’re swept away by enthusiasm about your crowdfunding campaign, you might fall into the trap of getting too personal. You may be building support for a campaign that is close to your heart. But don’t resort to posting sensitive information as part of your campaign. Keep it professional, be careful about what you post in an attempt to rally support for your project. When a business is listed on a crowdfunding platform, it’s usually the entrepreneur or business owner that sets the valuation based on forecasted revenues. Naturally, these valuations can often be a little skewed by founder optimism – many business owners think their venture is worth far more than it actually is. If the initial valuation is off, it can throw off the promised returns for investors too and also potentially undermine your credibility. Be realistic with valuations, and work with lead investors that are seasoned angel investors, who can conduct their own valuations. When businesses raise funds through traditional equity financing, investors will often stipulate that they want to be on the board of the start-up. The start-up can simultaneously benefit from the expertise of the investor, making it a win-win for all parties. Be careful who you accept onto the board and ensure that you have conducted your own due diligence before committing anything to contract. In equity crowdfunding, there’s no guarantee of a mechanism which will allow investors to challenge management. Investors obviously have a vested interest in the success of a start-up, and will be able to provide valuable advice and constructive criticism if made to feel a part of the journey. Frequently promote accountability and transparency, and issue regular reports on actual performance against business objectives to keep your investors onside and in the picture.